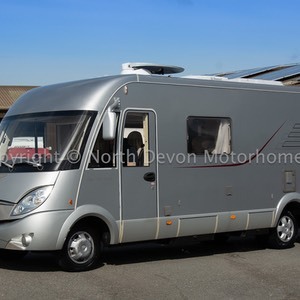 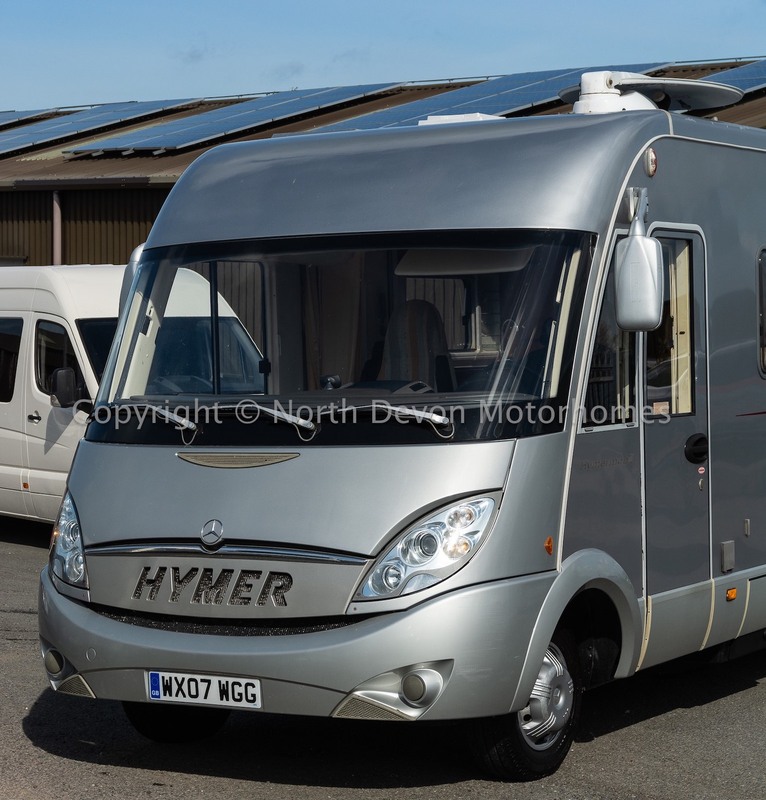 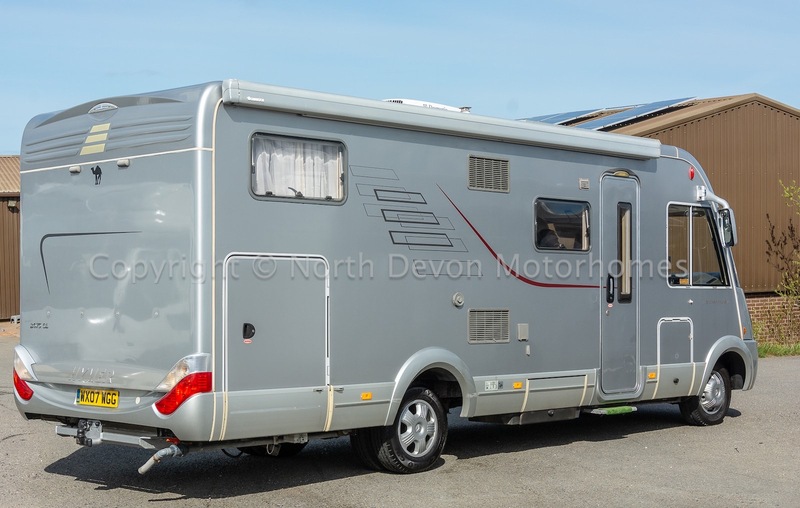 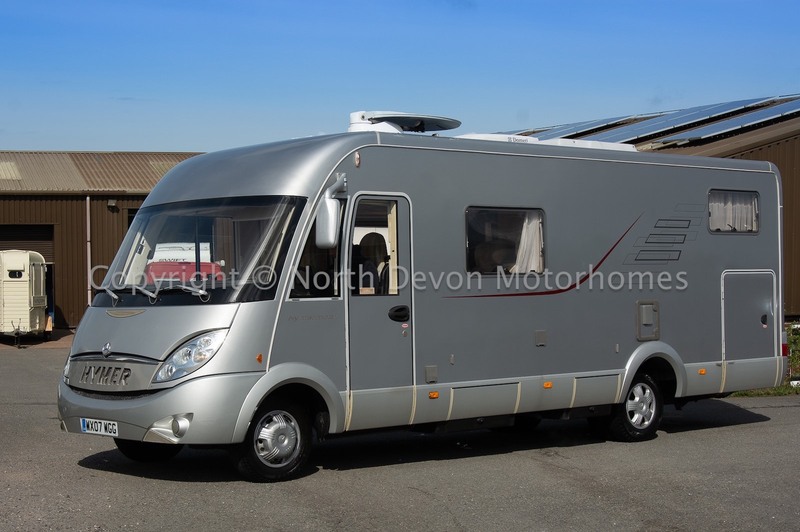 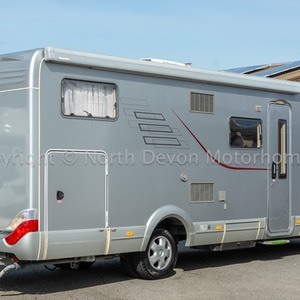 A lovely rare, One owner from new, Left Hand Drive Auto A Class Hymer 675 SL. 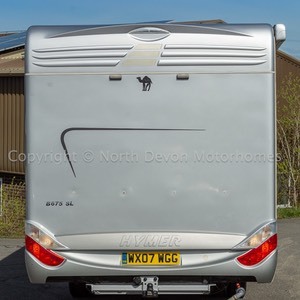 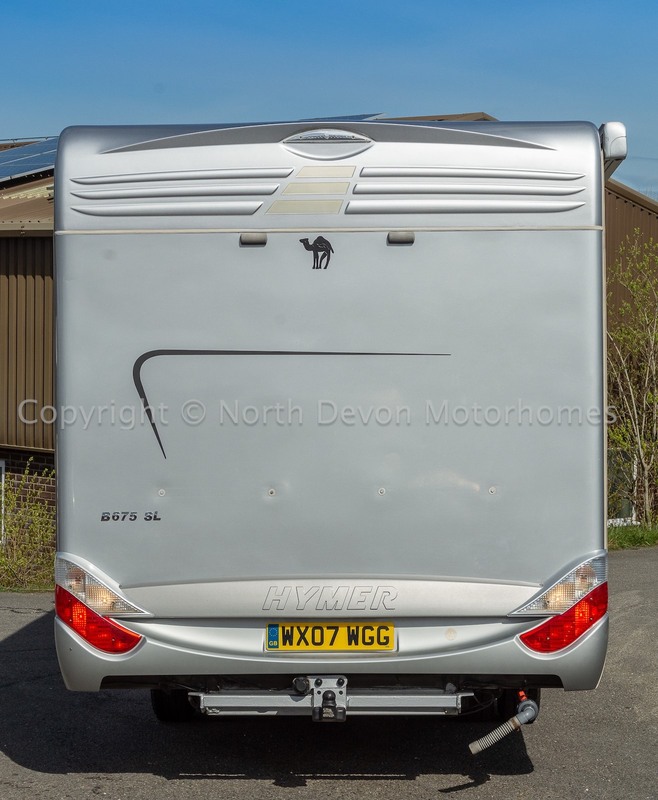 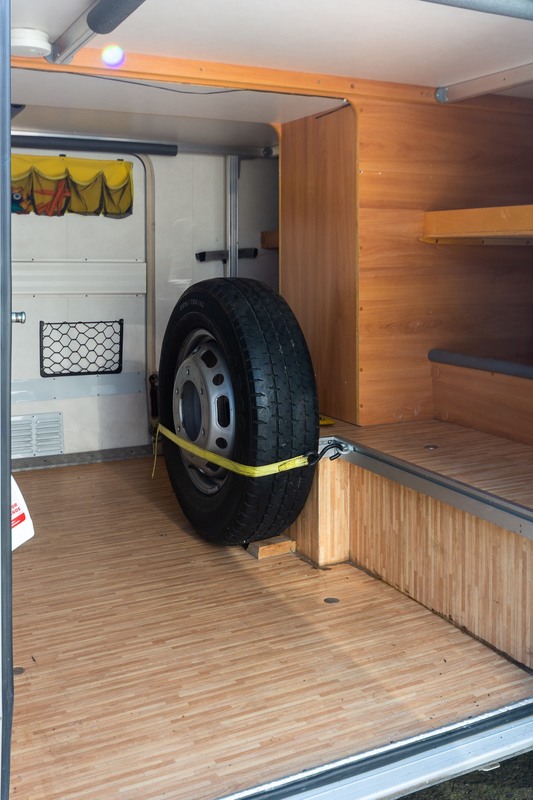 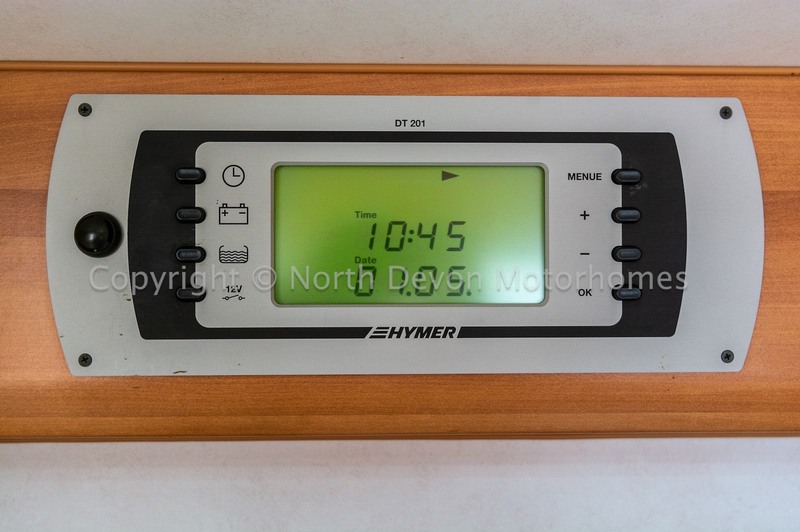 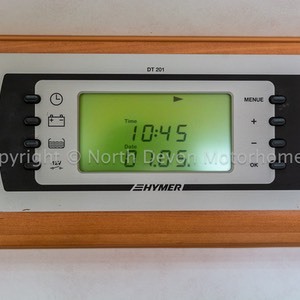 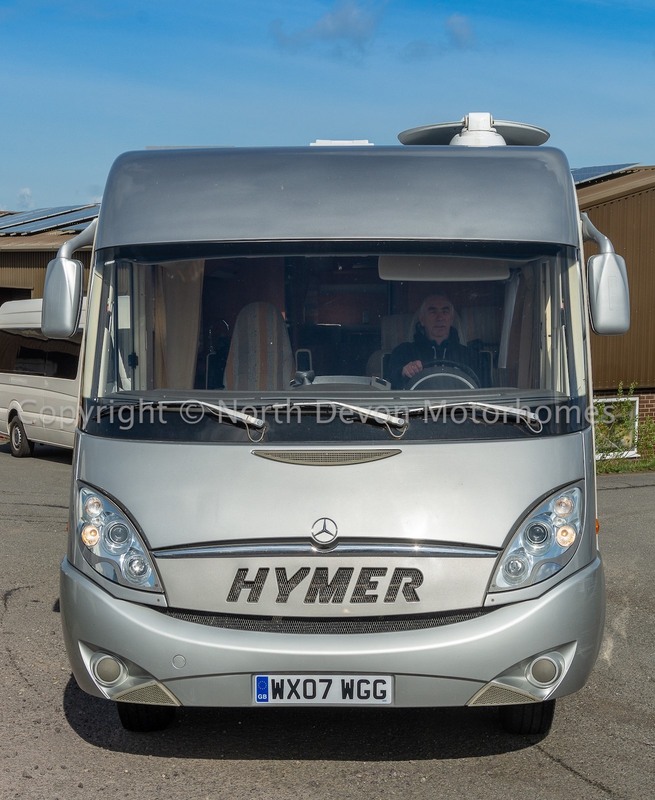 Exceptional build quality A-Class motorhome by Hymer, built on a matching top of the tree Mercedes Sprinter 3.0 Litre Automatic. 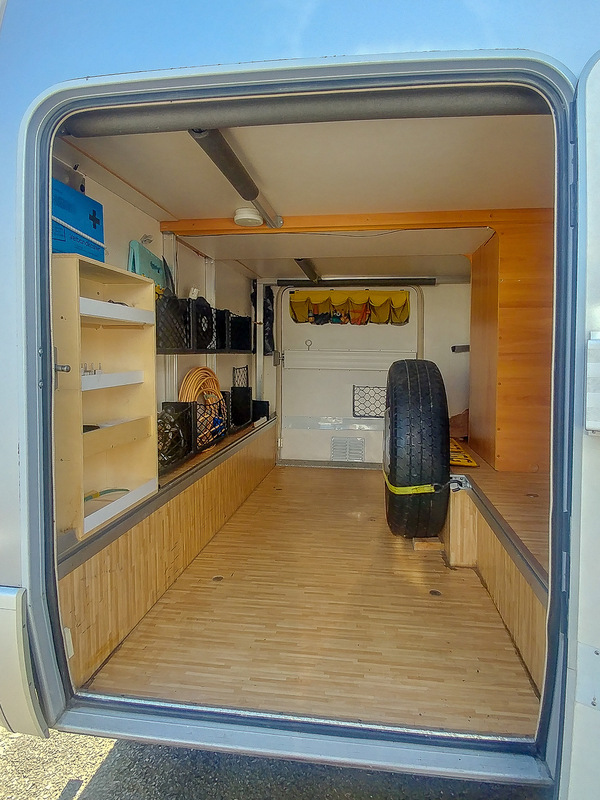 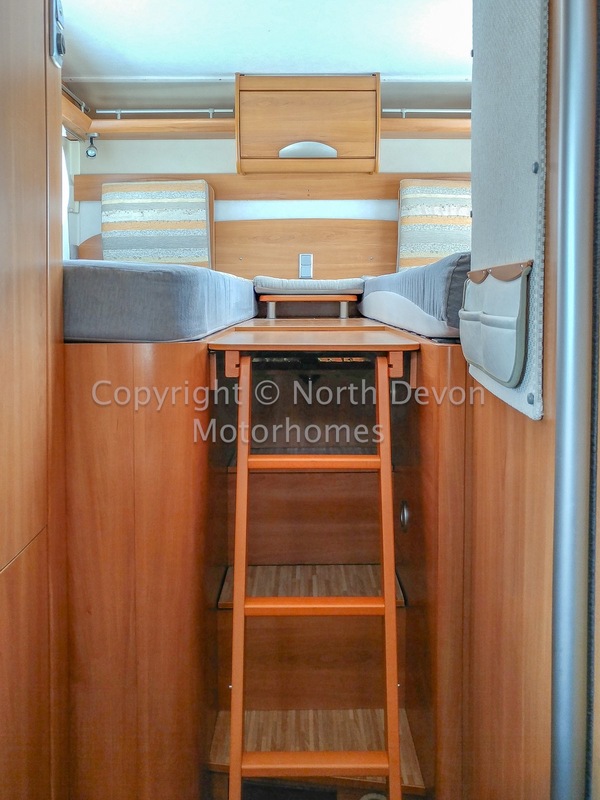 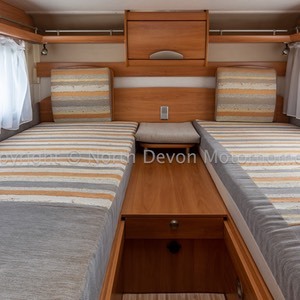 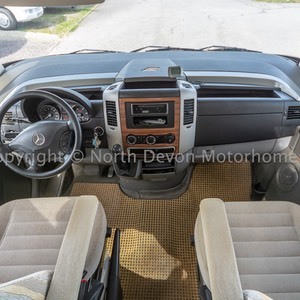 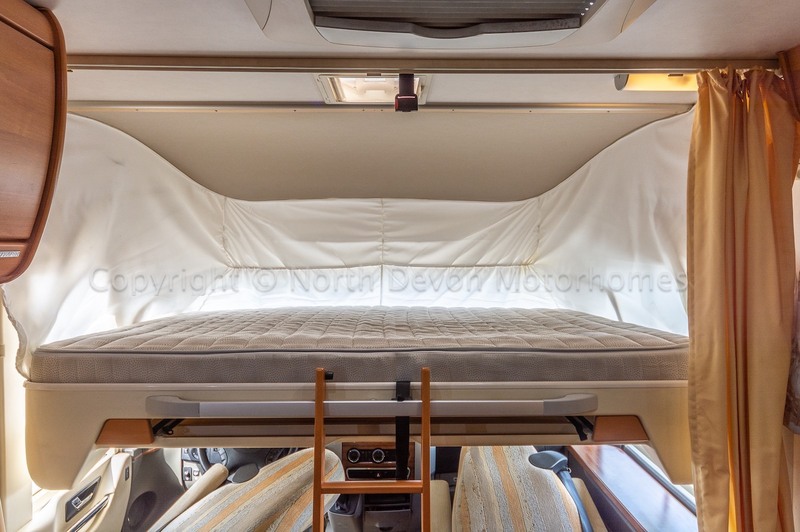 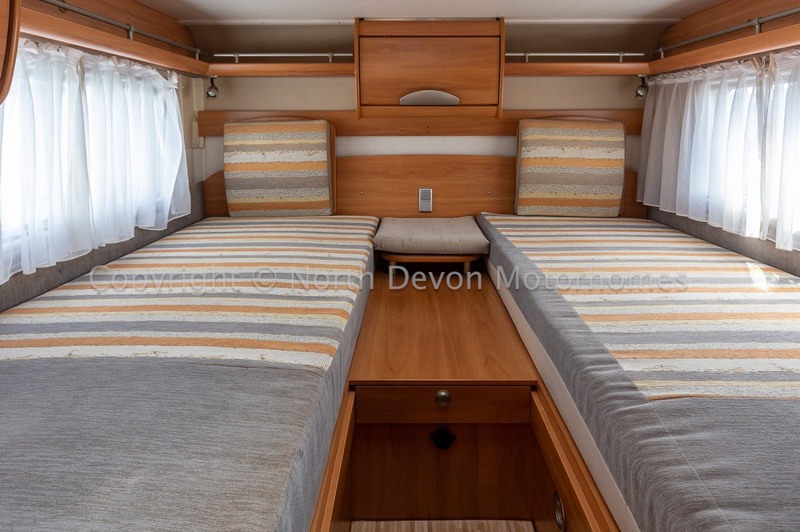 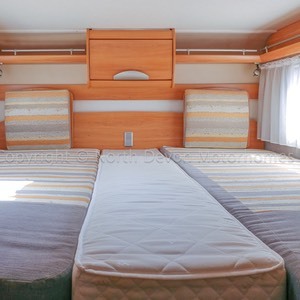 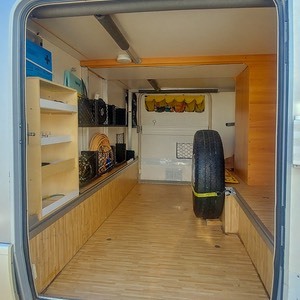 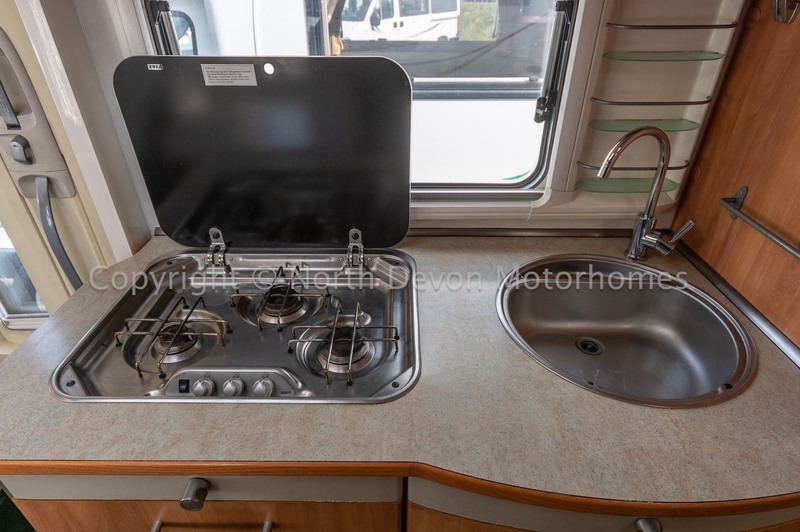 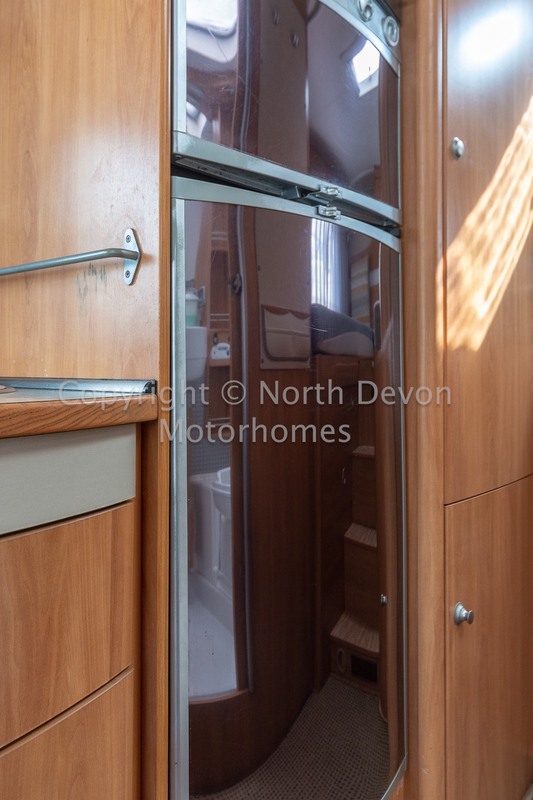 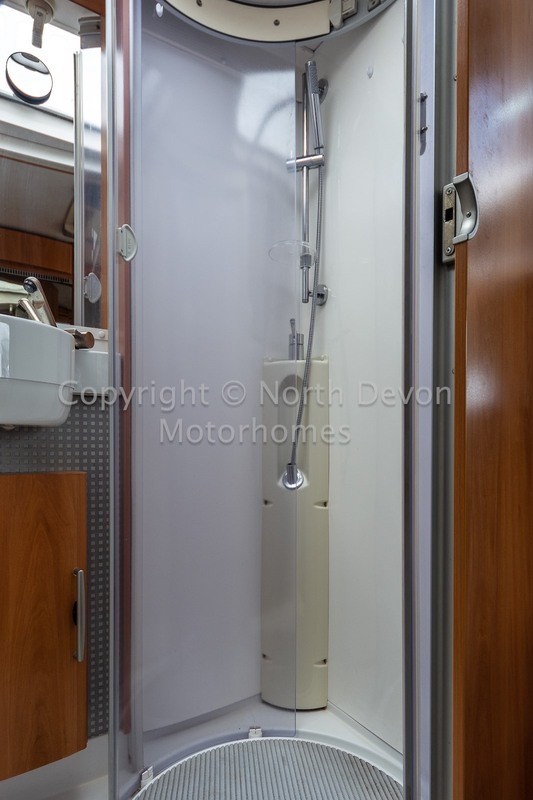 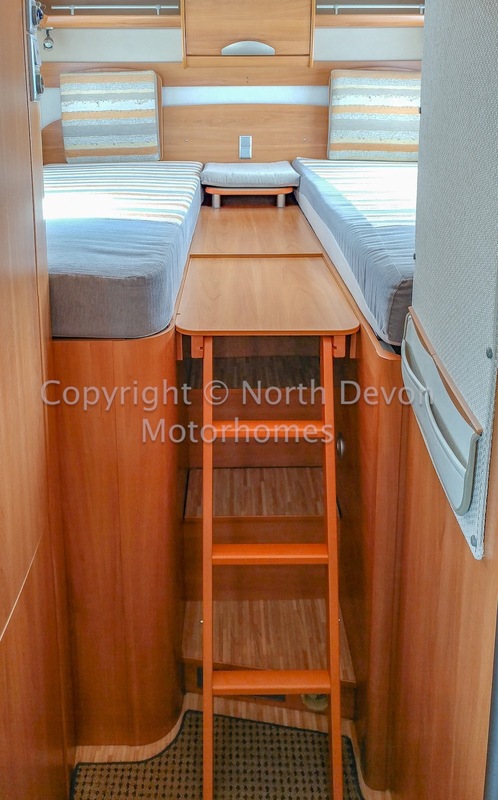 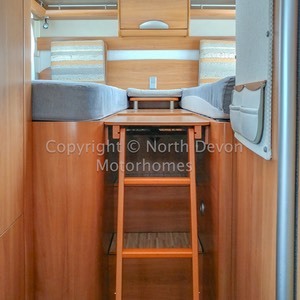 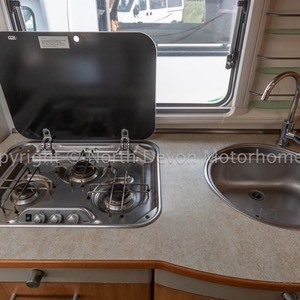 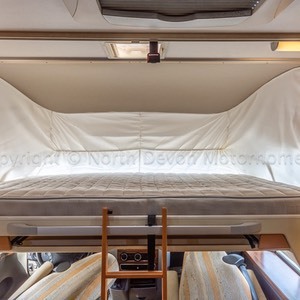 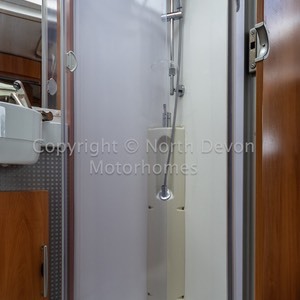 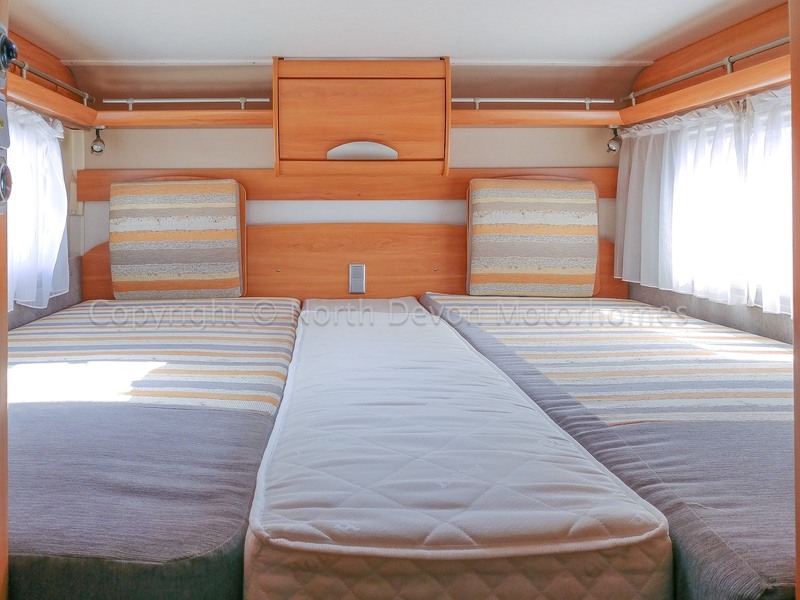 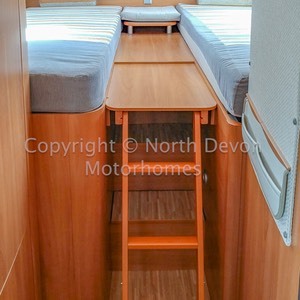 Favoured 4 berth layout, having rear twin single beds over a large garage, spacious lounge with additional travelling seat belts, superb double drop down bed over cab. 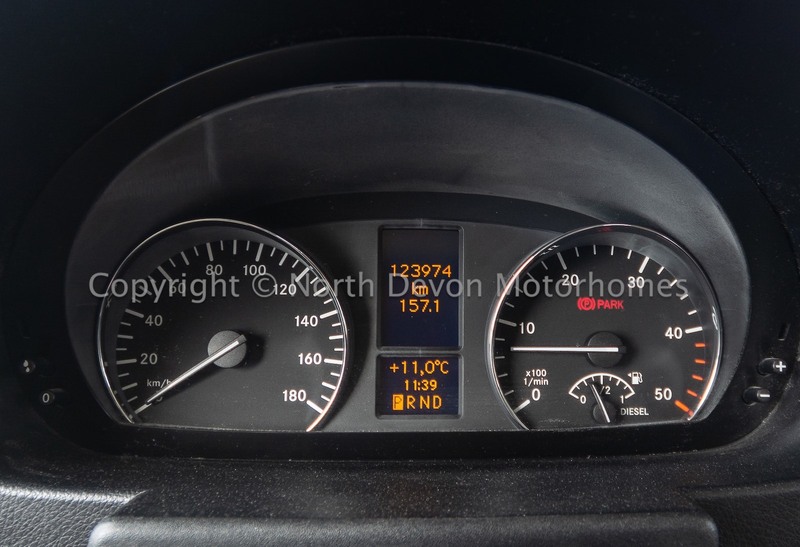 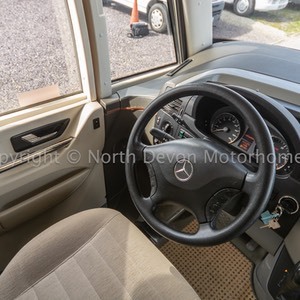 Having driven this vehicle back approximately some 100 miles, I can honestly say that in my opinion it handles and drives effortlessly with its rear wheel drive 3 litre automatic Mercedes chassis. 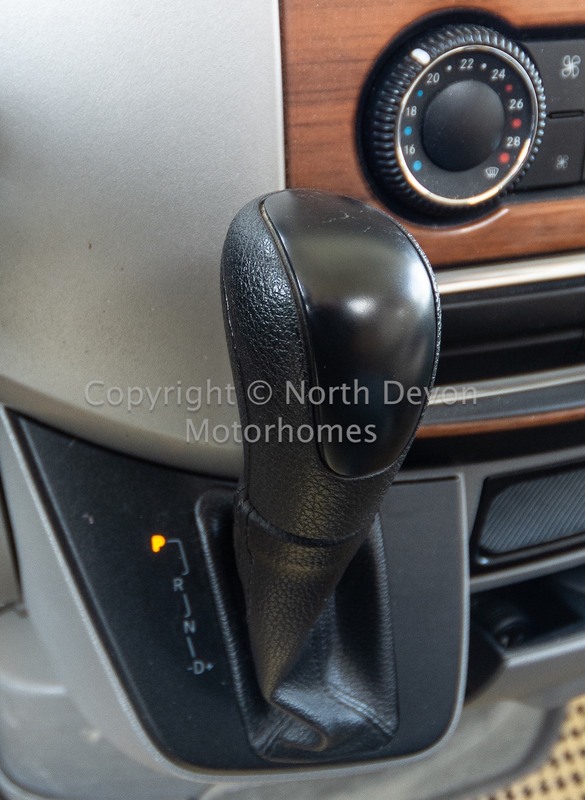 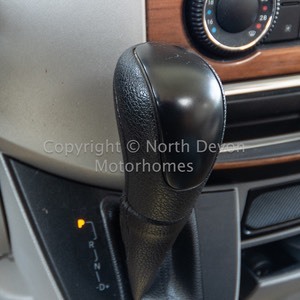 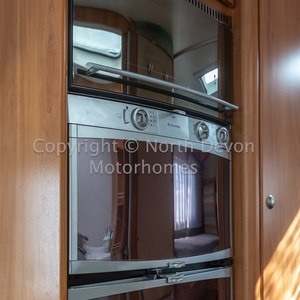 I would describe the above unit as being in good order throughout with just some minor scuffs consistent with the age and mileage. 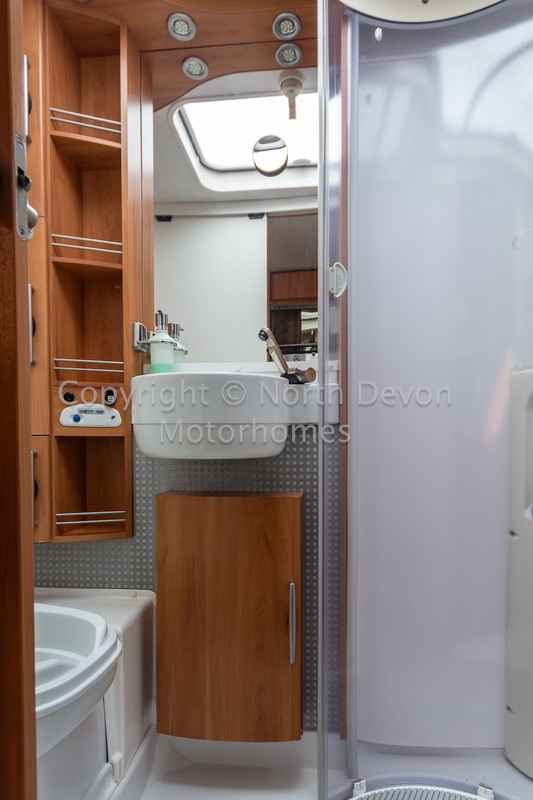 Rear bedroom over large garage with twin single fixed beds convertible to a double, centre bathroom and kitchen, forward lounge, drop down double bed over cab. 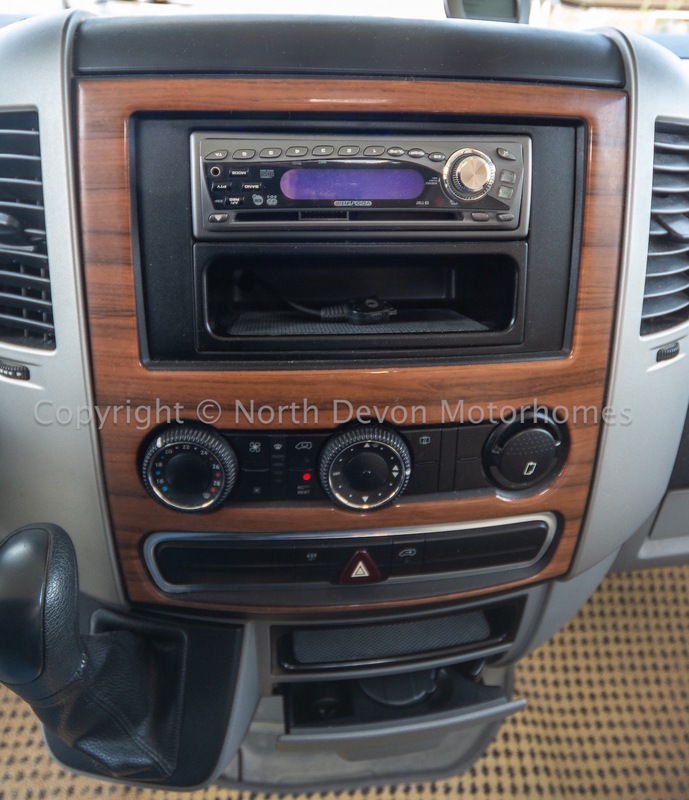 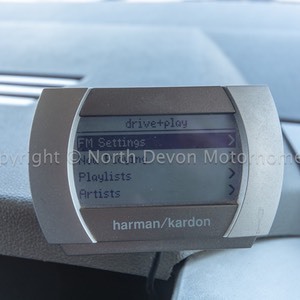 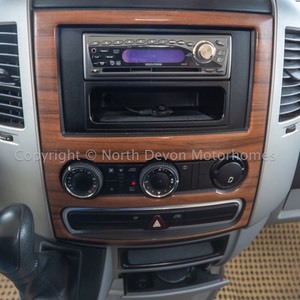 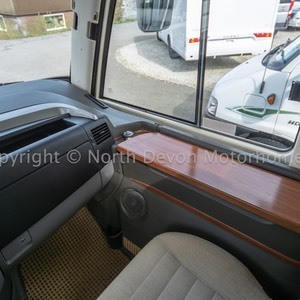 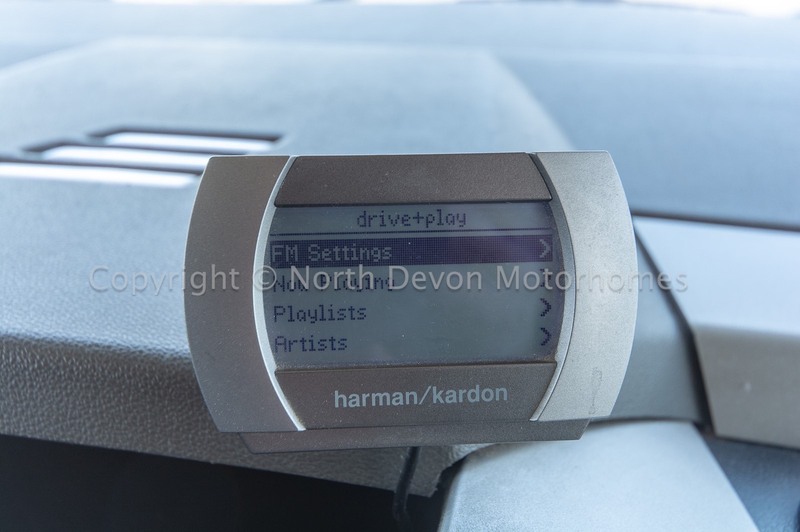 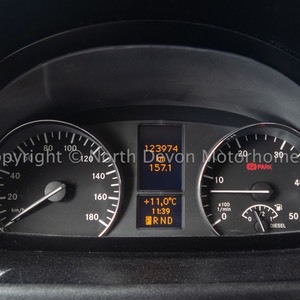 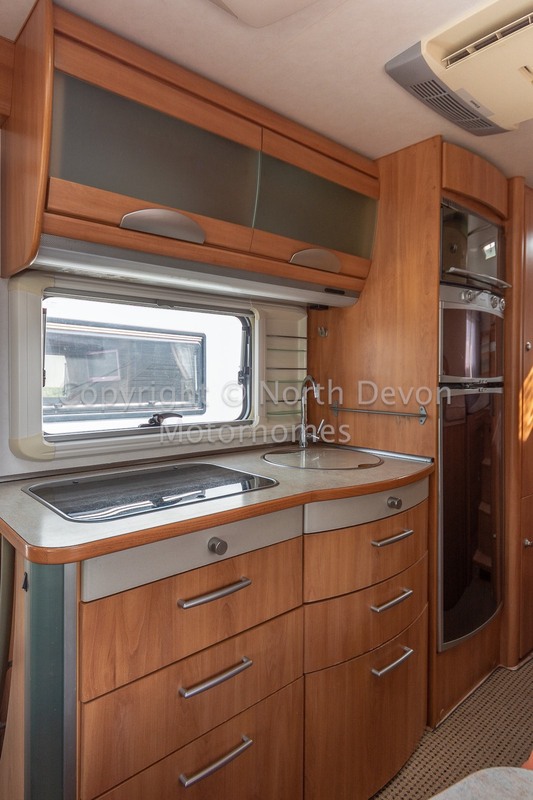 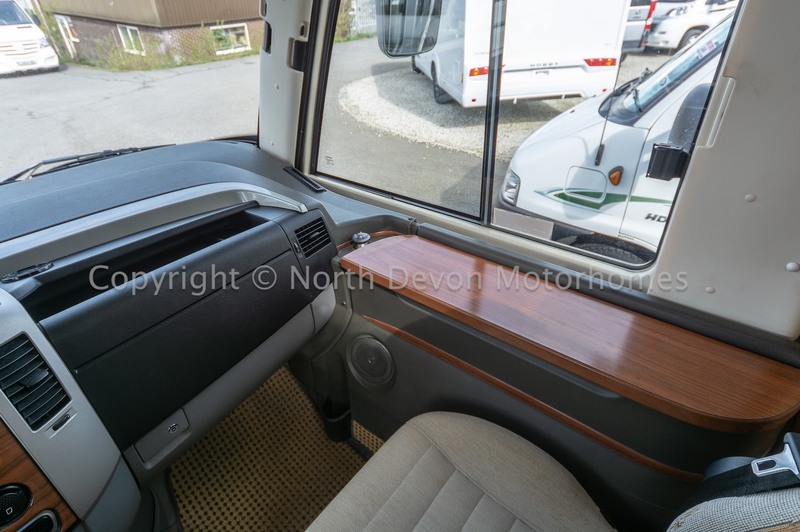 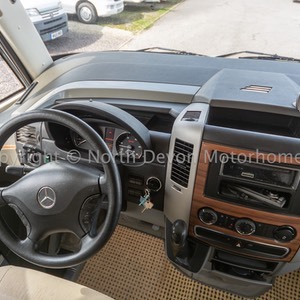 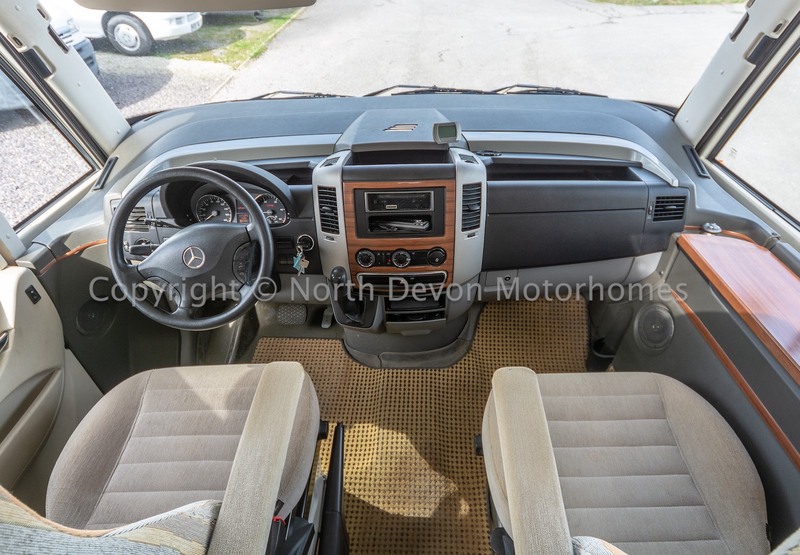 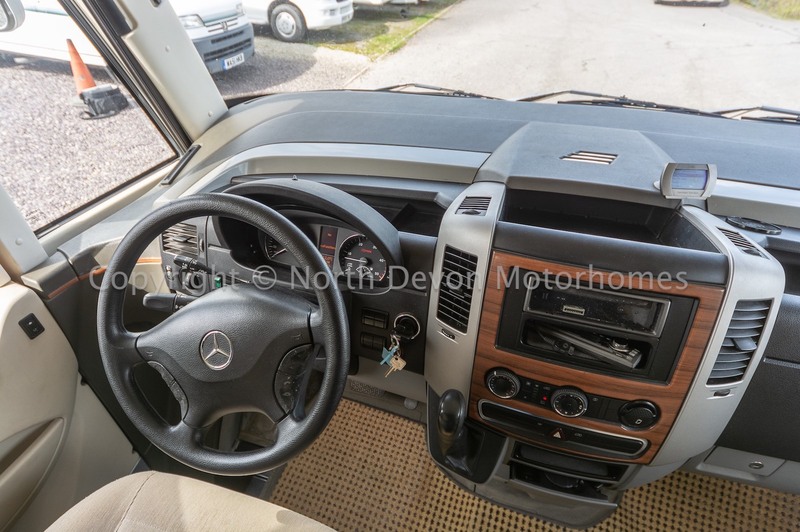 Electric window and electric mirrors, PAS, CD Radio, Fitted cab blinds, Swivel captains seats, Aircon, Cruise control, Harman Kardon iPod/iPhone dock, Drop down Double bed over cab. 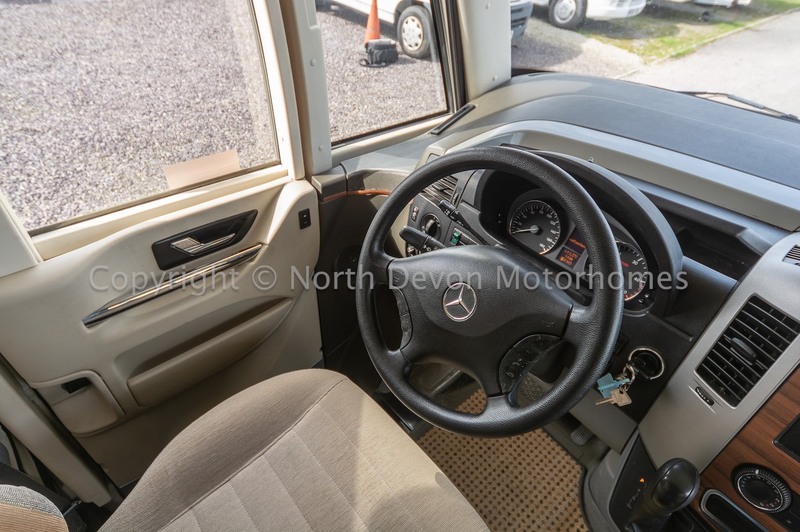 Four, drivers and passengers and two travelling. 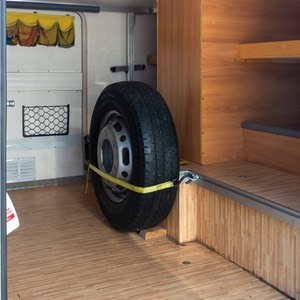 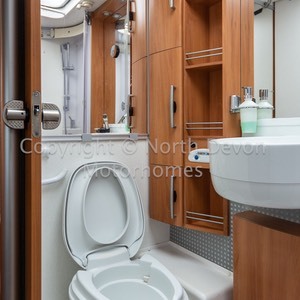 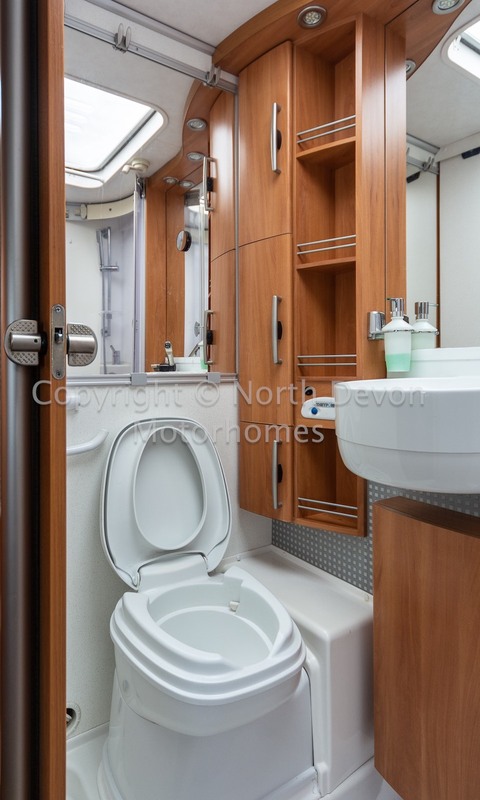 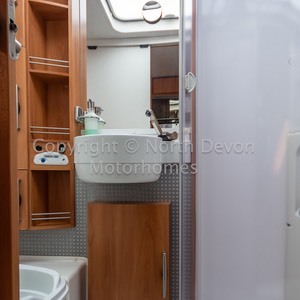 Four, two in bedroom, two in drop down double bed over the cab..
Swivel cassette toilet, shower cubicle, fixed moulded sink with mirror over, lots of high and low level storage, 12V lighting, skylight. 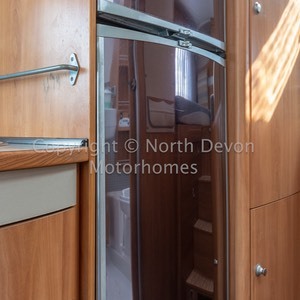 Two single fixed beds which can be converted to a large double, high level storage, wardrobe. 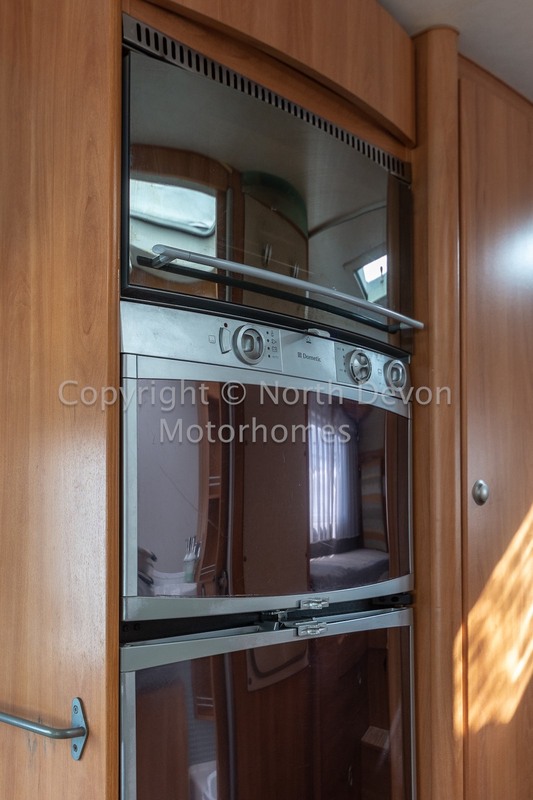 Oven/grill, three burner gas hob with extractor over, sink, three way tower fridge with separate freezer, high level storage, 6 low level drawers. 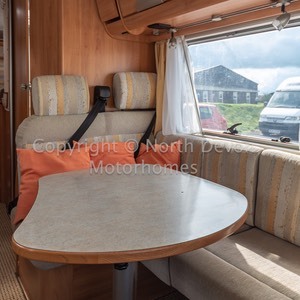 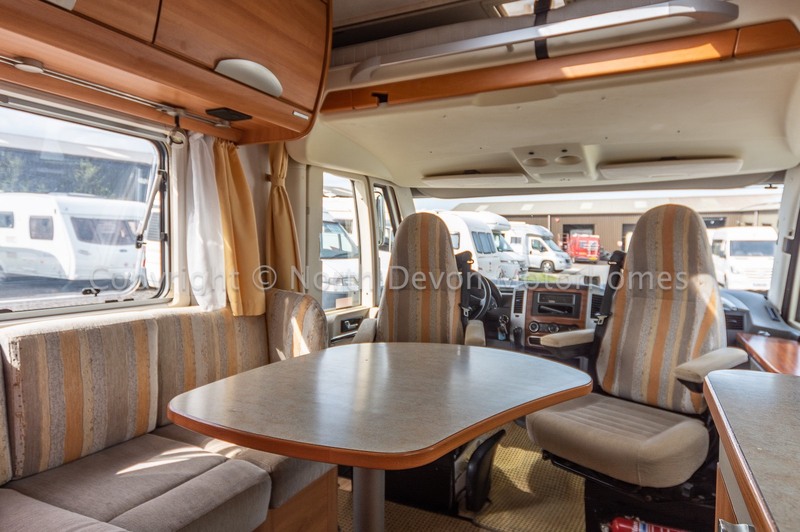 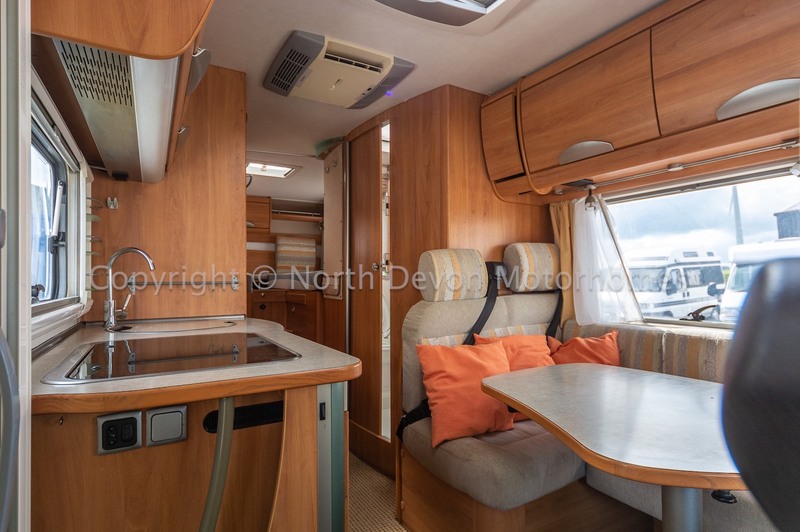 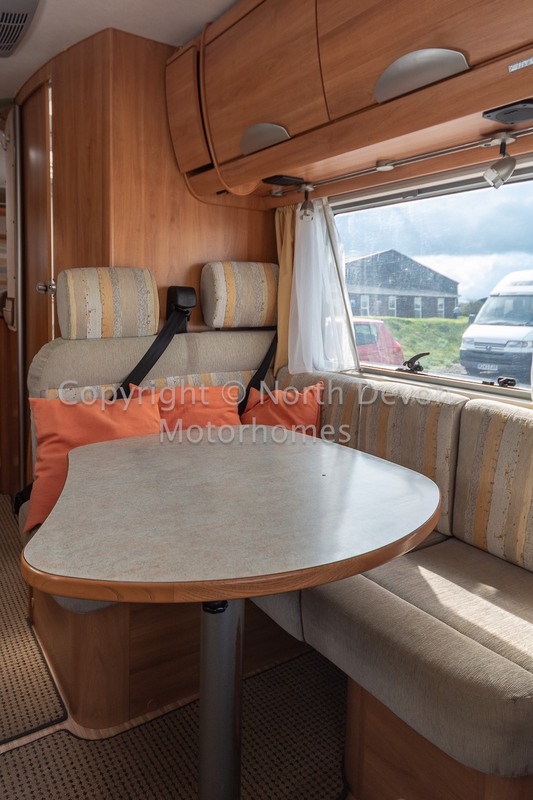 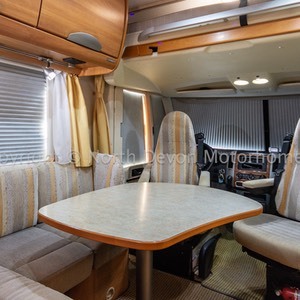 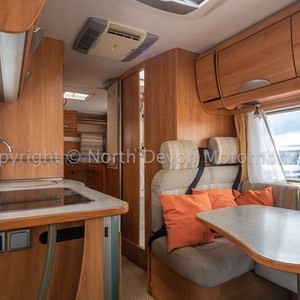 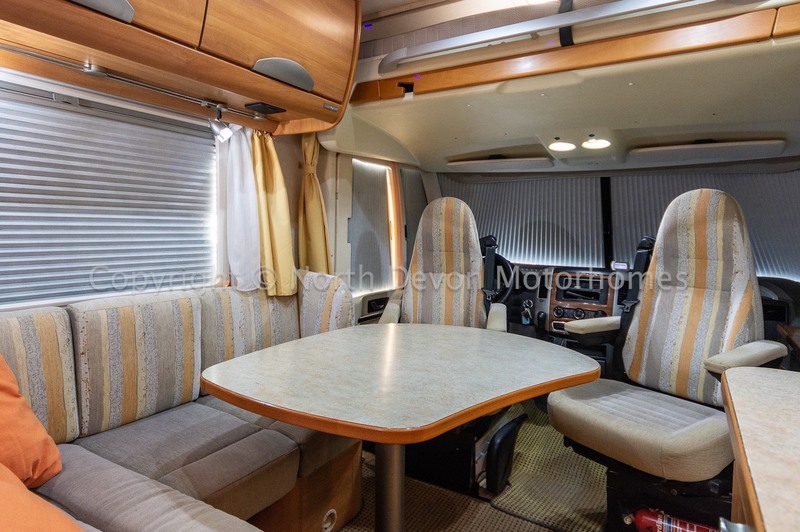 Forward facing dinette with adjustable table, drivers and passengers seat swivel into the lounge, TV, TV station with satellite system, large rooflight, Air Conditioning. 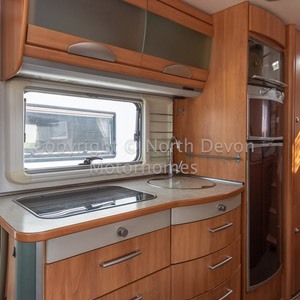 Trumatic Combi hot water and blown air central heating system running on gas or electric, double glazed windows with nets and blinds throughout. 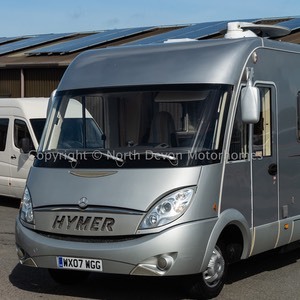 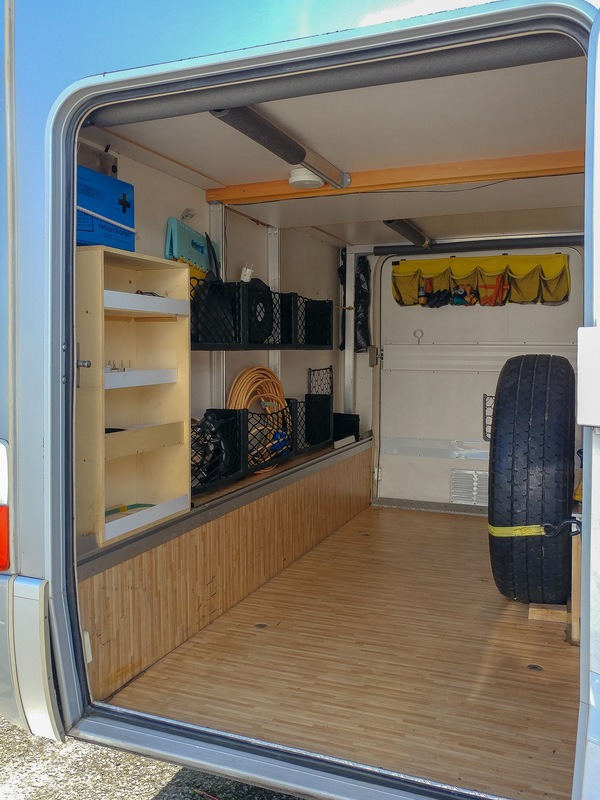 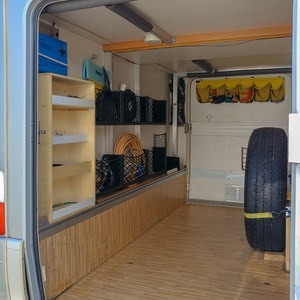 Awning, Refillable Gas System, Tow bar, TV, Oyster Satellite System, Solar Panel, Twin Hab Batteries, Cab aircon, Hab aircon, Harman Kardon iPad/iPhone System, Electric step. 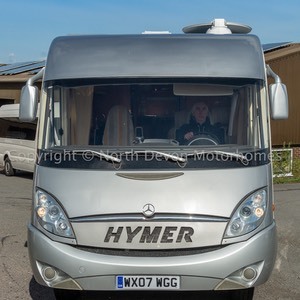 What a fabulous opportunity to grab a cracking LHD A-Class Hymer motorhome that's ideally suited for that long awaited European Tour. 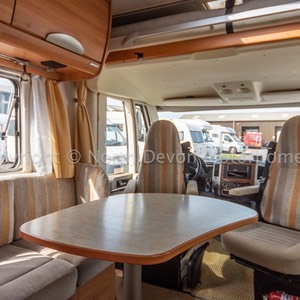 One owner van showing 77,000 miles with regular servicing, stamped service booklet and receipts with all associated manuals / literature and V5 registration documents all present, drives superb, viewing highly recommended.